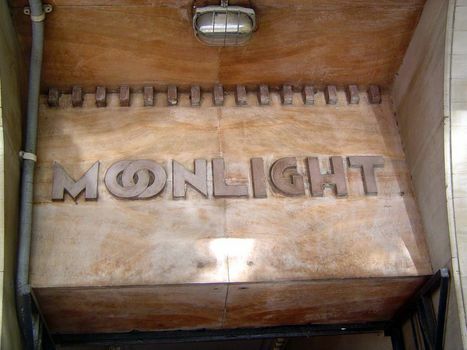 The city also has a remarkable assemblage of Art Deco buildings, sampled here. 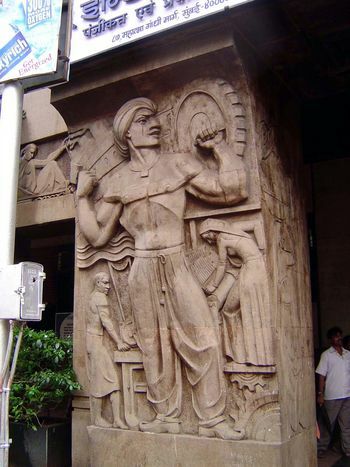 For more on this topic, see Bombay Art Deco Architecture: A Visual Journey (1930-1953) by Navin Ramani, 2007. 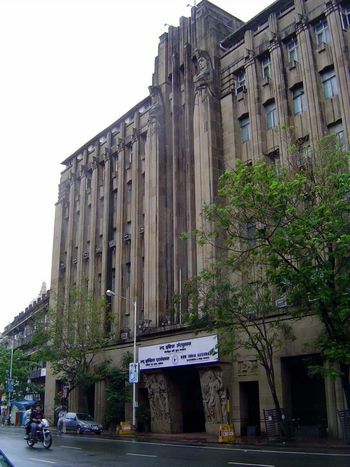 Some are office buildings, in this case the headquarters (built 1939-43) of New India Assurance, 87 Mahatma Gandhi (formerly Esplanade) Road. Architects: Master, Sathe and Bhuta. 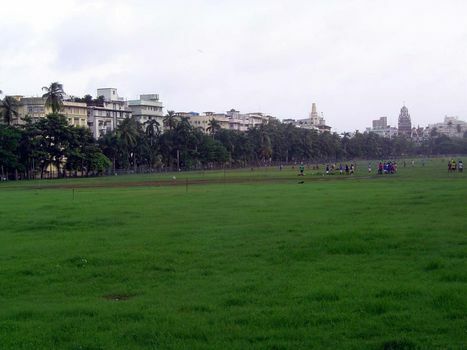 C. M. Master was on the faculty of the University of Bombay. 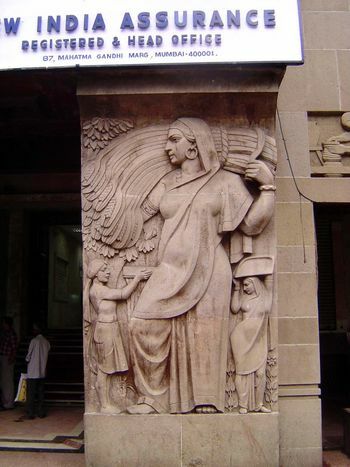 At the entrance, one of two sculptural panels. Its companion. Both were by N.G. Pansare (1910-68). Together, they present the usual pairing of agriculture and industry. The Regal Theater, 1933, with its stepped parapet. The architect was Charles, son of Fredrik William Stevens, the VT's architect. 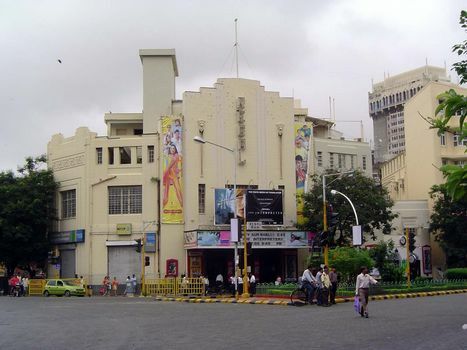 Most of the city's Art Deco buildings, however, are residential, including an extraordinary lineup on the west side of the Bombay Gymkhana grounds. 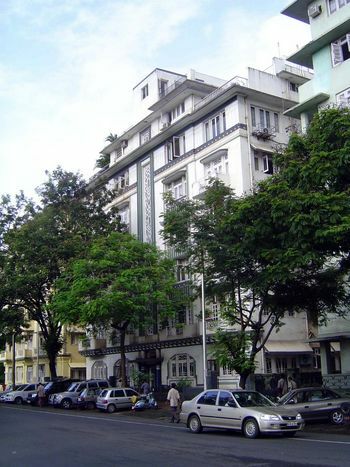 A typical apartment building in this neighborhood. 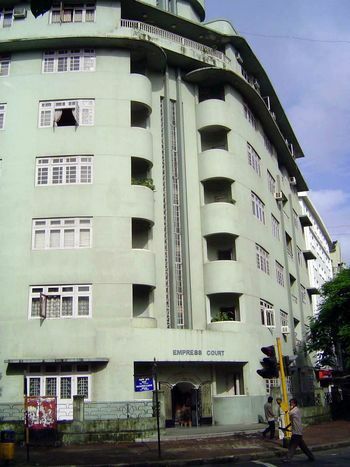 Built in the 1940s and designed by Poonegar and Billimoria, it's the Firuz Ara at 160 Queens Road (Maharshi Karve Road). Another, the Empress Court, from 1937-38, at 142 Queens Road. 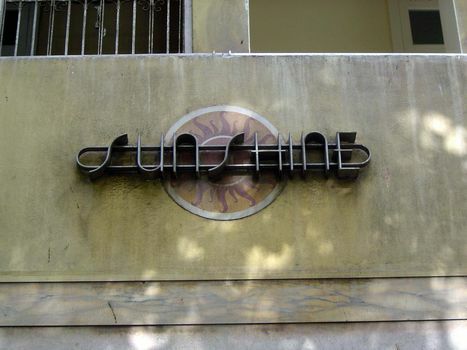 The apartment entrances are often elegantly signed. Perhaps a little less striking. 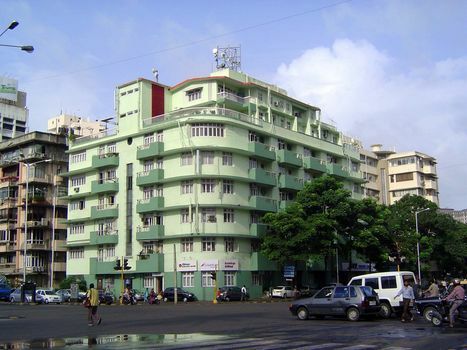 The architect was Gajanan B. Mhatre. The address is 156 Queens Road. 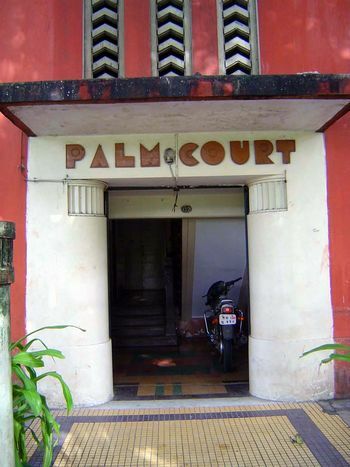 Palm Court, at 152 Queens Road,is from 1933-30 and was another building by Gajanan B. Mhatre. The entrance is magnified by color and bold chevrons, even if the bike brings it down a notch. 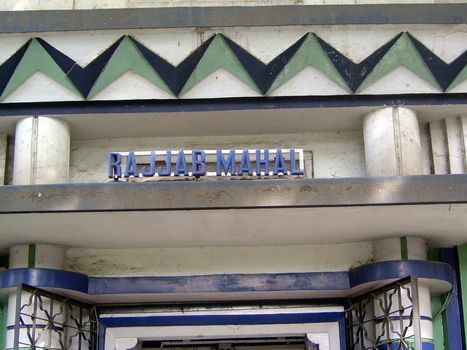 144 Queens Road: Rajajb Mahal, from 1933-39. Architect: Merwanji Bana and Co.